I recognise that reports of meetings I attended are dull. Frankly, they are dull for me. Last night’s full council was a classic example of why. I have a lot of time for the Labour Party in Wandsworth, I think they have provided some good opposition to the council, but actually, that’s mainly come from their leader, Tony Belton. Without him, I don’t think there’s any doubt they would not be much of a force. Last night’s debates largely proved this. Rather than debating council policy they spent more time trying to attack a Conservative Parliamentary candidate than anything else. A sign, perhaps, that they are worried about the Tooting seat? We did try and debate Tooting. 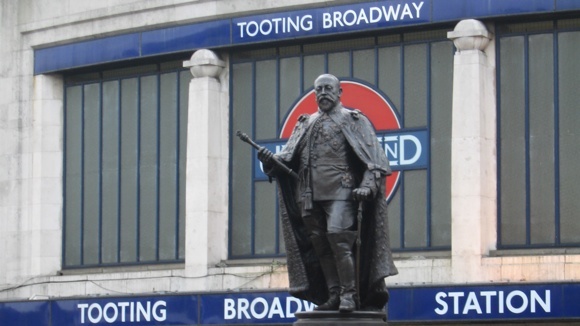 Sadly Rex Osborn, a Tooting councillor, could offer nothing better than saying everything good in Tooting was because of the residents and businesses, and everything bad because of the council. Our problem, it seems, was that we are too heavy handed with enforcement, except when we aren’t because then we should be heavier. And we don’t have any vision, because if we did, we’d be encouraging more people to go to the bingo hall. And we’re not clairvoyant, because he had photos of problems which we subsequently had to clear up. And that was the corker. Like a Liberal Democrat on Glum Councillors he had a series of photos where rubbish had been dumped or the pavement blocked, which the council had to clear up. The complaint was not that the council didn’t clear the problems, but that the problems existed in the first place – and here he conveniently forgot the residents and businesses good, council bad line. Perhaps hoping we’d all think the council has been dumping mattresses or re-arranging shop displays. I’ve repeatedly said that the real strength of Tooting Together is the together element. We clearly rely on residents and businesses to keep pavements clear and not to litter or flytip – but when the minority (and it is a small minority) step out of line we will act quickly to rectify the situation. To try and spin the whole thing in the way Labour did shows they are out of ideas at exactly the time they need them. If that is the best Labour have to offer, it can hardly be a surprise that they are worried about losing to the Conservatives, and maybe even to the pothole pointers of the Liberal Democrats.